Use tepid water when washing your face. 3 Will Exfoliating Improve Acne & Oily Skin? Regular exfoliation and proper cleansing can keep your skin, particularly sensitive facial skin, looking healthy and glowing. Exfoliation is the removal of dead surface skin cells and is often done by gently scrubbing with a washcloth, facial cleansing sponge or exfoliating cleanser containing microbeads, sugar, ground nut shells or apricot kernels. Alternate exfoliating scrubs with a gentle cleanser and toner formulated for your skin type to keep your face looking and feeling its best. Use a gentle exfoliating cleanser every few days. Princeton University Health Services suggests using a cleanser with alpha-hydroxy acids, which have an exfoliant effect. Do not scrub, as this can irritate your skin, especially if it is prone to acne. Avoid using regular soap for daily cleansing. According to Ken Arndt, professor emeritus of dermatology at Harvard Medical School, body soap is alkaline and tends to be too drying and irritating for normal skin. Look for a fragrance-free, dye-free bar or liquid cleanser. Avoid those containing sodium lauryl sulfate, which strips skin of its natural oils. Use tepid water for facial cleansing. Cold water may not remove dirt and oil effectively, and hot water can be drying. After washing, pat your skin dry with a soft, clean towel. 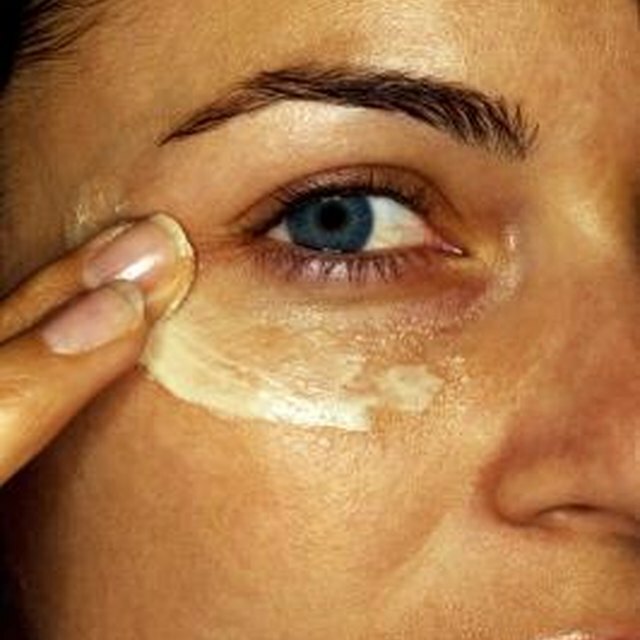 Apply toner to a cotton ball or tissue and wipe it over your face to remove any excess oil. Individuals with oily skin may want to use a toner containing salicylic acid, which helps to prevent pimples and blackheads. Moisturize after cleansing your face. Look for an oil-free moisturizer with sunscreen and apply it even on cloudy days. Use a tinted moisturizer instead of heavy foundation to provide a touch of skin tone-evening color without clogging your pores.